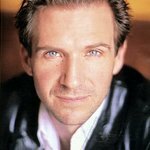 UNICEF UK Ambassador Ralph Fiennes is calling for an urgent response to the food and nutrition crisis in West Africa. “I am alarmed to hear from UNICEF that in the next few months, a million children could die in eight countries across West Africa, including Chad, without immediate treatment and care,” the actor blogged. "It is not a famine, but a very complex food crisis that is the result of a number of factors including drought, rising food prices and poor harvests. And this looming disaster has, to date, attracted little media attention. “UNICEF has been warning of this situation for months, but has still only received a third of the funds it needs to ensure that every one of these severely malnourished children will get the treatment they need. The annual ‘hunger season’ in this region of West Africa – when food from the last harvest runs out – has begun early for many of the affected communities, and time is running out to avert a major catastrophe. “When I met with staff from UNICEF UK last week, I was actually told that one million children was probably a conservative estimate. Under extreme conditions, we could see that figure rise to about 1.5 million children who are at risk of death if they do not receive treatment as early as possible.